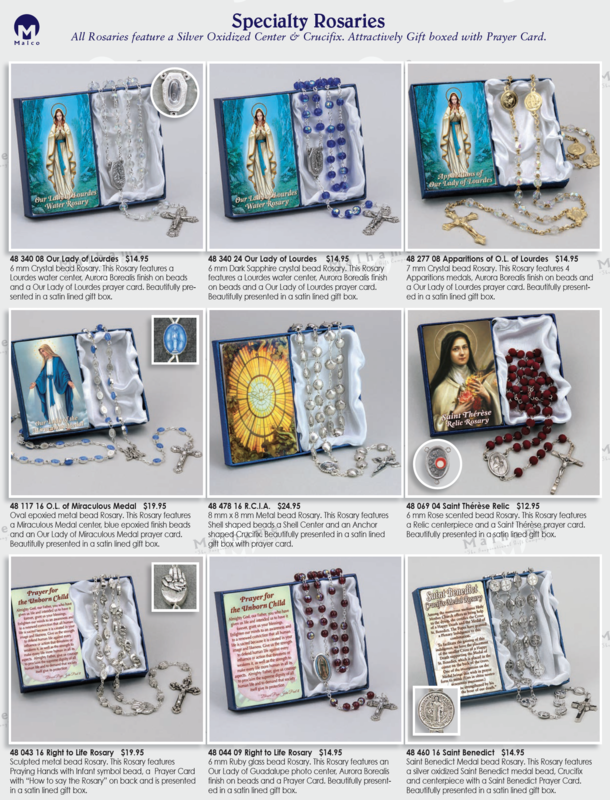 on beads and a Our Lady of Lourdes prayer card. and an Our Lady of Miraculous Medal prayer card. gift box with prayer card. a Relic centerpiece and a Saint Thérèse prayer card. and centerpiece with a Saint Benedict Prayer Card.